Kona has come and gone and the last of the late season races are starting to wrap up. We are just two weeks out from IM Florida. If you are going to be heading to Panama City Beach, definitely let us know. We are just hitting our taper and looking forward to a great day. Current weather is calling for sunny with a low of 60 and a high of 77. Should be some great racing! We have another Readers’ Ride in the pipeline for this week. Be sure to stay tuned. And if this is your first time following AeroGeeks, one of our favorite things to do is share our readers’ bikes with the world. You can check out our entire collection at http://on.fb.me/12jEqE3. If you would like to have your bike featured in our album, just tweet us at @AeroGeeks, Facebook message us, get us on Instagram, or email us at info@AeroGeeks.com. Don’t forget to also follow #agreadersrides on Instagram as well! While in Automatic Control Mode, provide an option to ALWAYS stay in the Large Chainring. Allow moving to the Small Chainring by using either the ProShift Pushbuttons or the ProShift Wireless Aero Bar Remote Shifters. Resume Automatic Gear Shifting from whatever gear is ultimately selected by the cyclist. 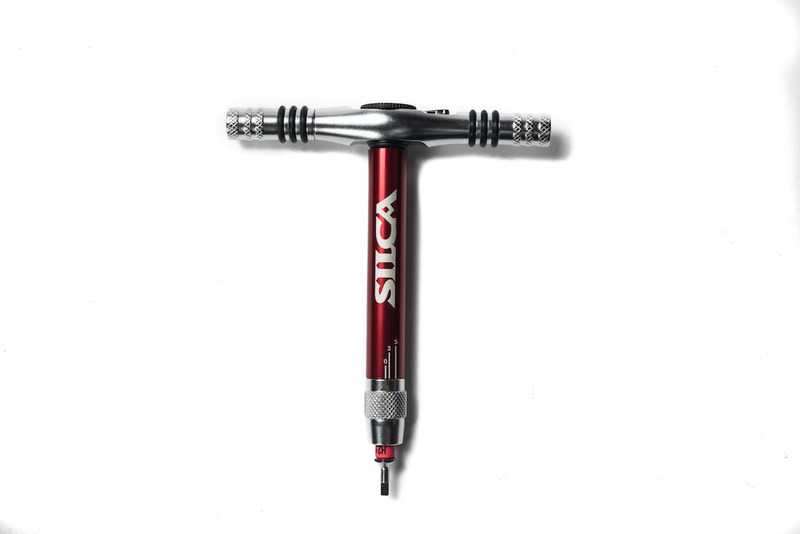 Silca shared an update to their T-Ratchet + Ti-Torque Multitools with us this week. One of our few complaints was that the numbers were not super easy to read. It appears we weren’t alone, and Silca responded in kind. The Ti-Torque beam now has three separate scales on it; 2-6, 3-5 and 4-8. This allows you to more easily see when you’ve reached your desired torque setting.